Sophmore Albums traditionally are a chance for artists to not only solidify themselves and back up their first release but can also provide as a space to grow, expand and reach new fans. 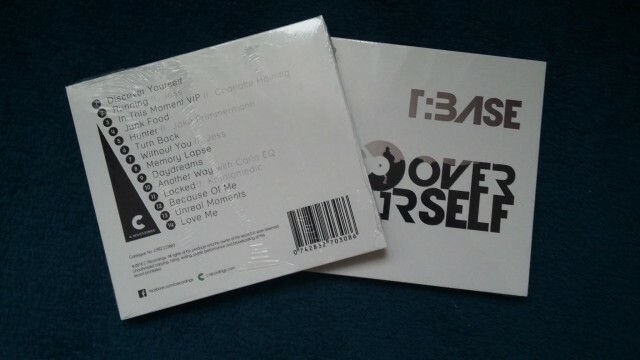 German DJ, Producer & C Recordings Label owner T:Base hits the nail on the head, checking off all the boxes this fall as he presents his second LP entitled „Discover Yourself„, an album staying true to the Liquid Vibes fans have come to expect. Arriving on his own C Recordings Imprint as Digital Download or phyiscall CD this October, the album consists of 14 tracks and features collaborations with vocalists Charlotte Haining, Jess, Kryptomedic and a debut from Jake Primmerman, as well as production work alongside Carlo EQ. The first single release „Locked / Wake Up“ will drop September 23rd and will feature a collaboration with Kryptomedic „Locked“ as the A side and a T:Base remix of „Wake Up“ , originally by Perspective. On the heels his 2015 Debut „Times Change“, T:Base is ready to hit up the world of Drum and Bass again, so keep your eyes and ears open for „Discover Yourself“ – available 1.10.2016 as CD from C Recordings and 3.12.2016 at all digital vendors.